HIS Majesty Sultan Haji Hassanal Bolkiah Mu’izzaddin Waddaulah ibni Al-Marhum Sultan Haji Omar ‘Ali Saifuddien Sa’adul Khairi Waddien, Sultan and Yang Di-Pertuan of Brunei Darussalam led the Black Team to glory with a 5-4 win over the Red Team in the final of the Richard Mille Polo Charity Pro-Am Tournament at the Royal Brunei Polo and Riding Club. 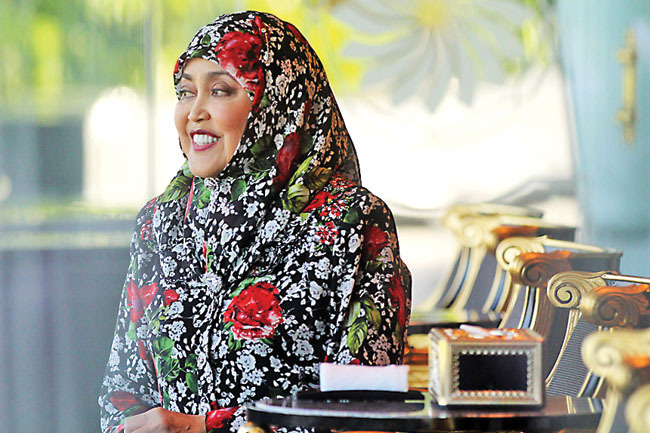 His Majesty, teaming up with Her Royal Highness Princess ‘Azemah Ni’matul Bolkiah, competed against the Red Team led by His Royal Highness Prince ‘Abdul Mateen. The charity tournament was held for the Children’s Cancer Foundation (YASKA). Her Majesty Duli Raja Isteri Pengiran Anak Hajah Saleha binti Al-Marhum Pengiran Pemancha Pengiran Anak Haji Mohamed Alam was present to watch the final match. Also present were His Royal Highness Prince Mohamed Bolkiah; His Royal Highness Prince ‘Abdul Wakeel and Her Royal Highness Princess Ameerah Wardatul Bolkiah. The thrilling final produced elements of a true classic game with abundance of skills displayed on the field. 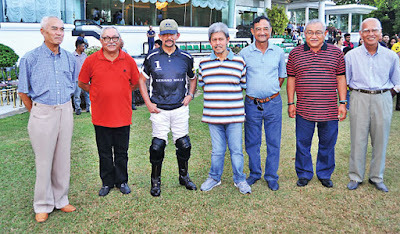 It showcased a combination of a family affair and superb professional qualities of some of the sport’s iconic players. His Majesty’s team would have won by a wider margin had it not been for Lucas Monteverde’s defensive brilliance who rescued his side on two occasions. Argentine stars Pablo Macdonough and Lucas Monteverde played in opposing corners but had partial influence in the outcome of the match. His Majesty also consented to collect the Richard Mille Gold Cup for the Black Team which also featured Thailand’s Top Srivaddhanaprabha. 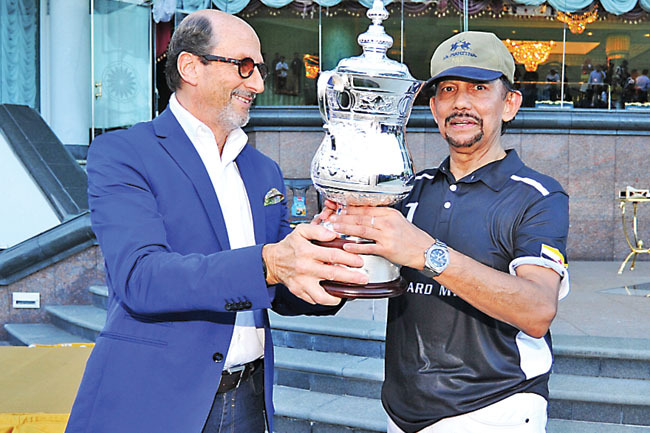 Meanwhile, the Grey Team led by His Royal Highness Prince Haji Jefri Bolkiah claimed third place and won the Richard Mille Silver Cup. The White Team led by Yang Amat Mulia Pengiran Muda Abdul Qawi finished in fourth place while fifth place went to the Yellow Team. As a caring monarch, His Majesty also mingled with children from the Children’s Cancer Foundation and consented to receive a pesambah. Richard Mille, which works together with Argentine 10-goal star Pablo Macdonough, supports the charity initiative and has been involved in organising the tournament for a second successive year.